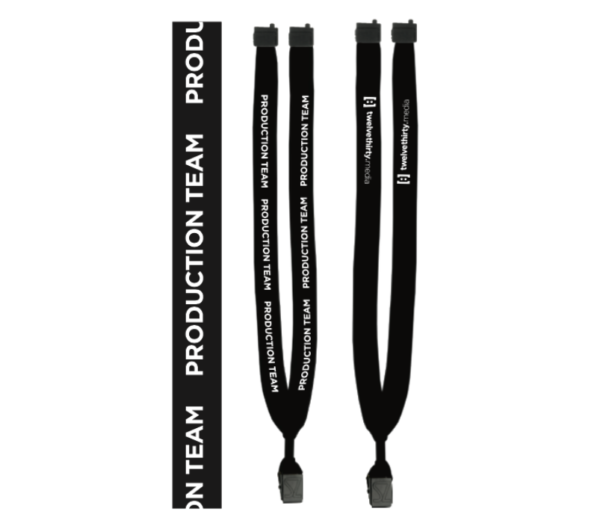 Lanyards for your production volunteers! 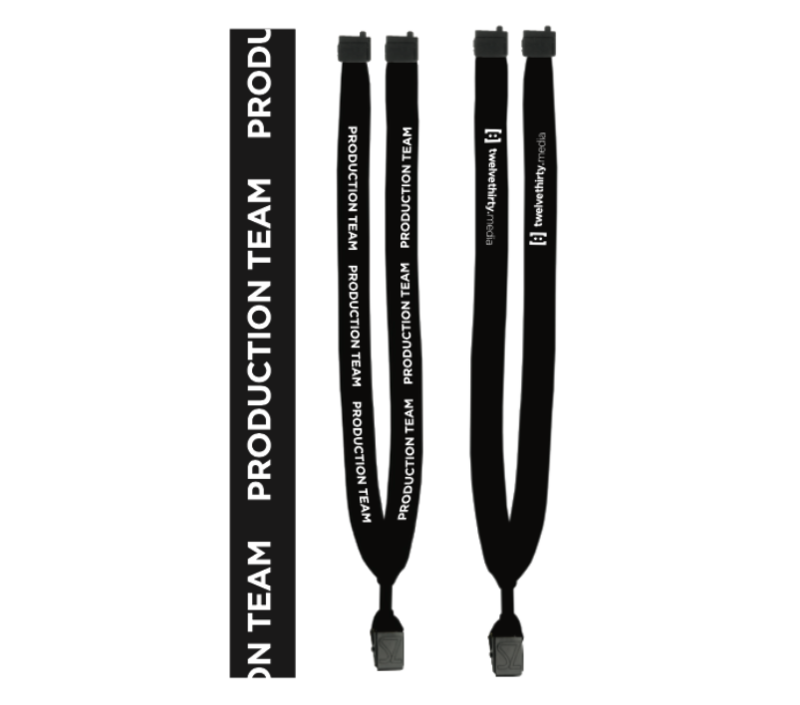 These lanyards come in black with the white text “Production Team” on the front, and our twelvethirty.media web address on the back. 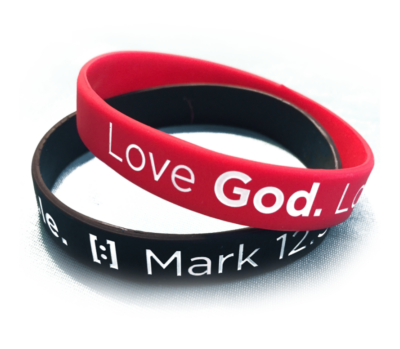 These are perfect to use during your weekend experiences for security and position tags. 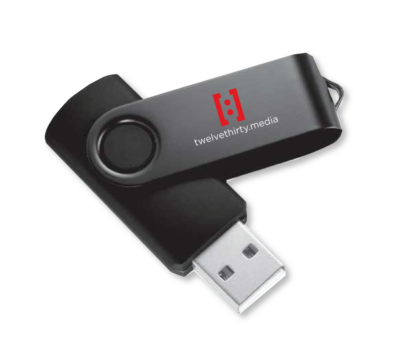 Great to hold security fobs or other identification cards. 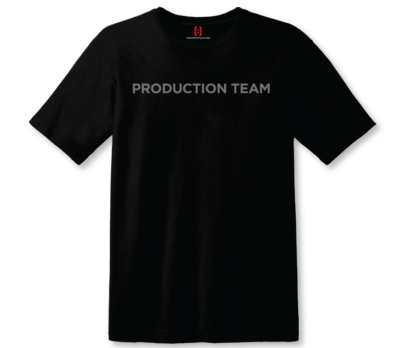 Minimum quantity of 15 must be ordered with this product.